When a person has to work 3 or more jobs that consist of only a 4 hour part-time job (20 hours x 2 and one 10 hour job =-50 hours) the cost for getting back and forth to work increases exponentially. If a person making $500.00 a week (gross) at one job spends $60 a week in fuel, a person who works 3 part-time jobs working the same amount of hours has more costs for transportation than the person working at just one employer. They may be forced to travel more miles each day as well as, requiring them to have less time at home to tend to things like raising their children. And most importantly earning less take home pay puts them in need of state assistance like food stamps which causes more tax increases or cuts in the state budget. The lack of parents being home as much creates another problem. Children being at risk of being around the wrong people who leads them into committing crime. Because they are not being properly supervised by parents, who are being forced to leave their teen age children home alone because the parent has to be away from the home 80 or more hours a week now instead of just 50, but only getting paid for 40 hours of the time they are away for work. Do you want to solve the problem? 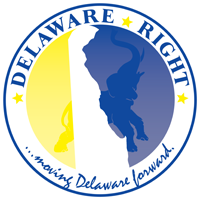 Delaware needs more opportunities for people to work at one job 40 hours a week instead of bringing in companies that only hire part-time staff that are not required to pay unemployment benefits, or healthcare benefits which ultimately causes higher costs to a household to afford things needed like food, clothing mortgages/rent, utilities. and even healthcare. Also, if you really want to look at how to bring more full-time jobs into Delaware, take a look at the reports published by UD. Over 70 million tons of cargo travel through the Delaware Bay/River to the ports in Philadelphia, PA. as well as all the ports in NJ and the port of Wilmington. However, only 1% of the cargo that travels into the Delaware Bay/River are handled at the Port of Wilmington. Delaware has very few export goods and by increasing exported goods going out of the POW by just 1% would increase Delaware’s revenue dramatically. I propose that Delaware look at several ways to accomplish what I discussed above , more full-time jobs with decent wages, and increasing the number of export goods produced in Delaware shipped out of the Port of Wilmington. And I am pretty sure I will hear flack on how to fund my proposals. But Delaware needs to invest in things that will provide a substantial return on its investment.. Invest in a Maritime High School, like those in Baltimore Maryland and NYC. When you have entry-level education providing training in the Maritime industry it will be a catalyst to encourage businesses to move at least a portion of their business to Delaware. Companies that manufacture component parts for the mega ships that are being built would be taking Delaware into the 21st century focusing on one of the major industries with a global interest. Training High School students for a vocation that would lead them also into the 21st century, with a good paying middle-income job, in fields that range from able-bodied seaman for merchant ships, to engineering and design of components used in large cargo vessels. To skilled labor jobs manufacturing the parts that would be produced by companies that would be encouraged to relocate to Delaware when they see the State has taken a vested interest in training people to perform jobs that relate to their company’s needs. I presented this at two of the task force meetings that were held last year. I wonder how many DE GOP officials sat in on those meetings? And how many provided ideas to the task force that included members of the General Assembly, as well as the Dept of labor and other state offices. 4 Comments on "Letter To Editor"
Yea, that is exactly what we need, another charter school focused on a even narrower cross section of students. WTF! The way we bring higher paying jobs to Delaware is by offering them a workforce that is employable. Fix the education problem in DE and you could be the next Gov. I’m thinking of starting a business of entertaining rich DC folks at the beach. You have to first decided what “employable” means in what industry. What we need to decide is what industries we want to attract that will offer them higher paying jobs. Let’s say you want to attract software development to area. Considering that many of these jobs can be done from home, there is little to no strain on infrastructure. What is required is good broadband, computers, and perhaps some small offices. What else is necessary is the skilled workforce. You can either import them or build them. If you want to build them, you have to create the curriculum necessary to produce the kind of people those industries want to hire. To be honest, right now we produce a good workforce for the jobs we have. The question is, what jobs do you want here? 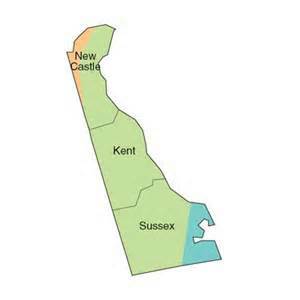 Sussex County could be more than agriculture, tourism, retail, and construction. What it takes is a little bit of vision on the part of the county and a commensurate interest and response from the state. At least in Sussex County, some of the council members would just as soon turn back the clock to the 1950s. Bottom line, it’s a chicken and egg. There must be the will to create a different tomorrow. Many people here like it just fine the way things are. That holds true for most everything in life – without the will to change, there is no change. The way we bring higher paying jobs to Delaware is by offering them a workforce that is employable. Fix the education problem in DE and you could be the next Gov. First of all, the best way to “fix” the education problem in Delaware is to teach your own kids by augmenting their studies at home. At the end of the day, a child’s education is the responsibility of the parents. As to “high-tech” jobs, Delaware will never compete with Silicon Valley, Simi Valley, Cambridge Mass or the DC suburbs. Not going to happen. Of course, being a doctor, engineer or lawyer can be a high paying job. Owning a roofing or landscape company can be a high paying job. Selling real estate can be a high paying job. Bartending can be a high paying job. Auto sales can be a high paying job. Being a welder or mechanic can be a high paying job. Being a chef can be a high paying job. ← Beware The Vacancy Tax!